I need a little help this morning because something is missing and I’m hoping one of you might be able to help me find it. I’m looking for the month of August which according to the calendar is ending today. How can something end when it didn’t even begin…I don’t even vaguely recall August. I’m not denying its existence and truthfully I do remember a day or two but that’s about it. I have memories of July and even June but August was faster that Jose Reyes running the bases. If today is the last day of the month that means summer is all but over. Next thing you’re going to tell me is that the college football season starts this weekend. It does, doesn’t it? Okay than Labor Day must be right around the corner…you’re kidding me….it’s Monday! Ah come on this is like a bad dream. Maybe when I wake up it will be July 4th and we’ll have a whole summer to look forward to. Tuesday was a sad night for many because the Lakewood BlueClaws closed out their home schedule by splitting a doubleheader against the Hickory Crawdads. Some 9,000 people made their way into FirstEnergy Park and many were regulars who were quite sad to see the season come to an end. It’s part of their spring and summer ritual and they were spoiled the last couple of years when the BlueClaws won the South Atlantic League Championship which meant the season continued through mid-September. That won’t be the case this year so last night was a chance to say good-bye, especially to members of the BlueClaws staff who have become friends over the years. I chatted with Community Relations Director Jim DeAngelis who has been with the team since their inaugural season in 2001. He said the depression of knowing the season is over doesn’t hit yet because the team is finishing the season on the road. DeAngelis said when you realize they are not coming home…that’s when you know the season is truly over. Don’t fret Jim…it’s only about 214 days till opening day, 2012. Congratulations to a pair of BlueClaws who earned spots on the South Atlantic League All-Star team…designated hitter Jim Murphy and pitcher Jesse Biddle. The team has today off and then finishes the season with five games in Hagerstown, Maryland. Tonight is your very last chance to see the Lakewood BlueClaws as they close out their home schedule with a doubleheader against the Hickory Crawdads beginning at 5pm. The BlueClaws quest for a third straight South Atlantic League title will apparently come to an end after being swept by the Crawdads last night in the first of back-to-back doubleheaders at FirstEnergy Park. With those two losses Lakewood falls into 4th place and is 4 games out of first with just 7 games left to play. Tonight is Fan Appreciation Night with all kinds of giveaways and specials and a perfect night to spend at the ballpark. Quarterback in the NFL behind only Tom Brady & Peyton Manning. It was just two years ago that Vick was looking for a team to give him a chance following his 18-month federal prison term on dogfighting charges. The Eagles and their fans are glad they were the team that offered the 31-year old an opportunity and he has clearly made the most of it. Former Manchester Township High School and Rutgers University standout Kevin Malast was among nine players waived by the Tennessee Titans Monday. It’s the third straight year that Malast has been cut during the pre-season. Dayton’s Dream Team Fundraiser this past Sunday at the Forked River House to benefit Autism Speaks was postponed because of the storm and it’s been re-scheduled for this Saturday from noon-4pm. The event includes a buffet lunch, live entertainment and a gift auction and tickets are $25 with all proceeds going to Autism Speaks. Again it will be this Saturday starting at noon at the Forked River House on Route 9. Monmouth University kicks off its football season on Saturday when they host Lehigh at Kessler Field and once again all the Hawks games can be heard on WOBM AM 1160 & 1310 this fall. Next Tuesday night at 7pm the Kevin Callahan Coaches Show will debut on the station which will be co-hosted by Matt Harmon and Coach Callahan. You can call them second-guessers or Monday morning quarterbacks…I would prefer idiots, morons and I could go even stronger. My wrath is directed at those who are overly critical of the preparations and evacuations that took place before the arrival of Hurricane Irene. Yes for the most part the storm was not as powerful as many had thought and thank goodness for that. But those who are taking shots at Governor Christie as well as local officials are so far off base you really have to wonder what their agendas are. First I would point out that predicting the weather never has and probably never will be an exact science. However based on what we knew it was quite probable that the Jersey Shore was in line for a direct hit and the responsibility of rational-thinking officials was to do all they could to protect lives and property. All you have to do is remember the pictures of those on roof tops praying to be rescued after Hurricane Katrina. Those were people who did not leave when they were told to and many died because of that. I laugh at the old-timers who today will be going around saying “I told you so.” They will tell old war stories of all the other storms they rode out and insist this was nothing compared to them. I again say “thank goodness” and you’re lucky…if not necessarily very smart. It turns out the much of Ocean County escaped with only minor problems as the storm ended up saving its biggest punches for certain inland sections of New Jersey. However if you think this was nothing than ask those who have been flooded out with more water on the way. Then there are those still without power who are trying to figure out what to do as it may be a while before everyone is fully restored. Then there is the family of a Salem County woman who was found dead in her submerged car. No this was not a conspiracy to drive sales of flash lights, batteries, generators, bread, milk and eggs. It was the right course of action to take based on the information that was available and if and when this happens again we should do the same thing. I applaud the efforts of all whose top priority was to protect their fellow man, especially the volunteers who left their own families to look out for others. 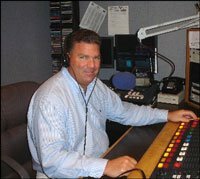 For the last few days you have heard something somewhat unfamiliar on this radio station and that is our association with Townsquare Media who acquired this station and ten others in New Jersey from Millennium Radio Group late last week. Of course developments like this tend to result in many questions being asked with the obvious being “what does that mean to the radio station?” The answer in this case is nothing and quite a bit. To the average listener the change in ownership won’t impact what they like about WOBM as the personalities and features will remain pretty much the same. Townsquare’s interest in the Millennium properties was largely based on the things that have made us New Jersey’s premiere radio company and market leaders when it comes to news, talk, music and entertainment content. However Townsquare has proven in a short time that they have a strategic plan to make their radio stations better than ever for both listeners and advertisers, the two groups we serve on a daily basis. In less than two years this dynamic company has acquired 176 radio stations and related websites in 38 small and mid-sized markets, making it the fourth largest owner of radio stations in the country and that number is expected to top 200 in the very near future. Townsquare’s goal is to provide content to our listeners in a variety of ways using the technology available today and in the future. Not only does that mean the best on-air products possible but enhanced web sites and other digital applications that will make put radio stations ahead of the curve in this market and around the country. On behalf of those of us who work out of the WOBM building I welcome Zoe Burdine-Fly who will oversee our shore group of stations as well as the New Jersey operation. She comes to us from Flint, Michigan and loves the Jersey Shore and our beaches. The only negative I can find is she’s a Michigan Wolverine fan but the good news for her is they don’t play Penn State this fall which will save her some embarrassment. I would imagine Californians think yesterday’s coverage of the East Coast earthquake was the most overblown news story of all-time. I mean they continue shaving when a 5.8 strikes. It’s like telling people in Buffalo that you got hit with a six inch snow storm…they would view that as flurries. However the truth is earthquakes are way down on our list of worries when it comes to Mother Nature so the fact our ground shook yesterday afternoon was a big deal. I was in my office working on my computer when my chair starting vibrating…kind of felt like one of those beds you put quarters in. Anyway I got up and ran into the hallway where a co-worker screamed “did you feel that?” First thing I did was run outside and look up at our tower thinking it might have had something to do with what we felt. Of course within moments were knew it was an earthquake as the phones started ringing off the hook. My wife, who was on the beach in Seaside Park at the time, told me later that lifeguards immediately called swimmers out of the ocean and it fueled speculation that there was a shark in the water. All in all it was quite an interesting afternoon. By the way you may have noticed problems trying to use cell phones immediately after the earthquake as many reached out to loved phones to make sure they were okay and it just slammed the cell systems. However even though you might not have been able to call someone you could still text them which is a good thing to know for the future. Now that we’ve survived the earthquake we turn our attention to Hurricane Irene with the threat increasing along the New Jersey coast based on the latest path. Sunday looks like the day we should be braced for the powerful storm. Hopefully the weather will not be a problem for Saturday’s “Grand Slam” Summer Celebration that will be hosted by the Ocean County College Foundation in the school’s Health & Human Performance Center. The event is a major fundraiser for the foundation’s scholarship fund and will include live entertainment, a gourmet buffet, and both live and silent auctions. Being honored as Humanitarian of the Year at Saturday’s event is retired New Jersey Superior Court Judge Robert Fall. It all gets underway at 6pm and for ticket information you can still call the OCC Foundation at (732) 255-0492. Kevin Malast and Glenn Carson have a couple of things in common. They both played high school football in Ocean County and are middle linebackers bidding to make their marks on a higher level this fall. However their paths to where they are now are quite different. While he was a three-sport standout at Manchester Township High School Malast flew under the radar a bit playing for a program that struggled for respect. His talents took him to Rutgers University where he was a two-year starter and team captain as a senior when he was one of the leading tacklers in the Big East. Malast signed as a free agent with the Chicago Bears in the spring of 2009 and was waived just before the season opener. The Bears later signed him to their practice squad and another free agent contract but again he was waived a week before the 2010 season was to begin. However the youngest of three football-playing brothers did not give up on his dream of playing in the NFL and this past January Malast was signed by the Tennessee Titans. He is listed as the third-string middle linebacker and has made five tackles in their first two pre-season games. While he might be a long shot to make the team the 25-year old still has time to prove that he belongs in the pros. and after some early bumps in the road the path has gotten a lot smoother. Carson saw action last season as a red-shirt freshman, mostly on special teams but this spring and summer has really raised his level of play. The ex-Ram progressed so quickly that the Nittany Lions moved starting middle linebacker Mike Mauti to the outside in order to open up the inside for Carson. As things stand now #40 will be in the starting lineup when Penn State opens its season on September 3rd against Indiana State. With three years of eligibility remaining the Manahawkin resident has a golden opportunity to add to the school’s reputation for producing linebackers and he might become the second family member to play in the NFL. Carson’s grandfather Tom Higgins was an offensive lineman who spent three seasons with the Eagles & Chicago Cardinals in the mid 50’s. Kevin Malast and Glenn Carson have both achieved great success on the football field and here’s hoping for both that the best still lies ahead. I’m back this morning after what will have to suffice as my major vacation of the year which did include a couple of very nice beach days and most importantly the ability sleep past 3am. However the focus was getting our daughter ready for her sophomore year at Penn State which begins today. My wife and Alex did quite a bit of running around last week which was highlighted by our now traditional final night dinner at The Crabs Claw Inn where Alex worked for the third straight summer. She looked forward all week to munching on King Crab Legs which she claimed would be her last good meal until she comes home for Thanksgiving. Anyway our fully-loaded van departed at 3am Saturday for the trip to Penn State which was a pleasure with little traffic on the Pennsylvania Turnpike. Despite two stops for gas and coffee we arrived in State College in less than 4 ½ hours. We were told move-ins could begin at 10am but on a hunch we went straight to Alex’s dorm complex and within 10 minutes had her room key and began the task of moving in bins and bins of clothes and stuff. Then came the first of several trips to Target and Wal-Mart and when we returned to the dorm it was a different story as the masses had arrived. All in all things went well as we got her room ready…I even managed to assemble a desk chair and organizer…jobs that would have taken the average person about 20 minutes while I needed more than an hour. I’m telling you the pictures in the directions just don’t match up. Her roommate Nicole arrived early in the afternoon and I was happy when her handyman father took care of assembling the futon which I would probably still be working on. Jane and I went out to a late dinner by ourselves because Alex and her Kappa Delta sisters already had plans for their first night back on campus and those plans did not include us. We did meet for a nice breakfast Sunday and then it was off for some last-minute needs and yet another trip to Wal-Mart and some final touches on the dorm room just around the time a massive thunderstorm hit….a storm we would pretty much follow from Happy Valley all the way home. I was not very happy with the six-hours it took to get home because of rain and traffic but it’s great to know that Alex is at a school and place she loves with great friends. Here’s to a sensational sophomore year….and spot on the Dean’s List! On an unrelated note, professional soccer player Carolyn Blank will be signing autographs and taking pictures with fans tonight at Modell’s Sporting Goods in Toms River from 5-6pm. The former Toms River East and West Virginia standout is in her first season with Sky Blue FC in New Jersey after playing last year for St. Louis and Atlanta. This Tuesday will mark the 36th Anniversary of the police headquarters on Oak Avenue that is home to the Toms River Police Department. Of course on August 16, 1975 it was the Dover Township Police Department and it was a smaller department and smaller town than it is now. The number 36 is not usually anything special to celebrate or commemorate but then again this will not be your typical building anniversary. On that day in 1975 the Police Chief was Richard Clement, who had joined the department in 1946 the day after he was discharged from the US Army Air Corp. Clement watched and listened as Chairman and Master of Ceremonies Tom Kelaher helped dedicate the new police headquarters, a building Rick would work out of until his retirement in 1979 after a 33-year career. He was a highly-respected law enforcement leader, not only locally but across the globe. During Clement’s tenure he served as president of the Ocean County Chiefs of Police Association, was an executive board member of the New Jersey State Chiefs of Police Association and was elected to the prestigious position of President of the International Association of Chiefs of Police. I mention all of this because next Tuesday at 4pm now Mayor Tom Kelaher will stand on the same Oak Avenue site as Chairman of the Committee to dedicate the township’s police headquarters as The Chief Richard C. Clement Law Enforcement Center. It’s a fitting tribute to a man who was born and raised in Toms River and no matter where his travels took him always referred to TR as his home. “Dayton’s Dream Team” is hosting a benefit luncheon and gift auction at the Forked River House on Sunday, August 28th from noon-4pm. Proceeds will benefit Autism Speaks and the $25 ticket includes a buffet lunch, live entertainment and gift auction tickets. Dayton is the son of Jerry Frulio, a teacher and former baseball coach at Central Regional High School who coached at St. Rose the past four seasons. The St. Joseph’s Endowment Fund for Catholic Education will honor Timothy E. Ryan at their 14th annual Fall Dinner on Saturday, September 24th at Crystal Point Yacht Club in Point Pleasant. Ryan is the founder and owner of several funeral homes in the area and has been honored on numerous occasions for his charitable endeavors. During a recent string of hot and humid days health officials in New Jersey urged people to take proper precautions to deal with the weather conditions. There was the usual call for staying out of the sun and inside air conditioned buildings and drinking plenty of water. One of the other suggestions was to wear light-colored and loose-fitting clothing and it’s obvious the New Jersey State Police as well as other police departments don’t heed that advice. We were talking the other day about how State Troopers really need a better summer uniform, even if it makes them look a little less intimidating. Have you seen what they have to wear…even on a 100 degree day? It’s something that works well when it’s 50 outside but not when the mercury rises like it does in July & August. I mean the long blue sleeves with neck-tie and navy pants. You can’t tell me its comfortable patrolling in that uniform. Sure you can crank-up the AC while driving but when you’re outside the car your body just has to be as hot as you know what. Look I understand and appreciate the whole honor, duty, fidelity thing but isn’t it likely that wearing that uniform does not allow you to perform at 100% efficiency? Why couldn’t troopers wear a white shirt with short-sleeves and is a tie really necessary in the summer? Those I know in the State Police say the uniform does carry a certain amount of tradition along with being imposing and yes even intimidating. Supposedly they were modeled after German army uniforms and when you come face to face with a trooper in full uniform and hat you might start to twitch a bit. However in the summer there’s also a pretty good chance he’ll be sweating even worse than you. By the way it seems to me that generally speaking women do a better job of dressing for hot weather then men…at least when it comes to the workplace. I’ll never understand the need for men to wear full suits on the hottest days yet there they are in blue, black and grey walking around and often looking worn and wrinkled. If you have to wear a suit at least take off the jacket when you can. J.R. Smith has spent the past seven years playing in the NBA but well before that he was a star basketball player at Lakewood High School where he would dazzle teammates and opponents with his long-range shooting and highlight-reel dunks. The Denver Nugget standout is returning to Lakewood later this month but you’ll find him on the golf course and not the basketball court. He is hosting his Fifth Annual Golf Classic to benefit the J.R. Smith Youth Foundation on Thursday, August 25th at Eagle Ridge Golf Club. The event will limited to 80 golfers and Smith will be on hand to meet and greet those who play to support his non-profit foundation which was organized to provide opportunities and support for young people through education, sports, the arts and other beneficial activities. The foundation provides scholarships and grants while establishing programs designed to help today’s youth reach their goals. Smith played a couple of seasons for the Piners before transferring to St. Benedict’s Prep as a senior and then turned down the opportunity to attend the University of North Carolina for a career in the NBA. The 6’6 swingman has averaged 12.5 points per game in his career and spent the past 5 seasons with the Nuggets. For information on the golf outing or the J.R. Smith Youth Foundation you can call (732) 682-6940. Here is your somewhat daily update on Cincinnati Reds rookie Todd Frazier of Toms River. He was 1-4 last night while playing third base in a 3-2 loss to Colorado. The 25-year old Frazier, who struck out twice, is now hitting .238 in 16 games and 42 at-bats. For those not aware Frazier helped Toms River East American win the 1998 Little League World Series and later had record-setting careers at both Toms River High School South and Rutgers University. His older brother Jeff, who turns 29 today, is having his best stretch of the season for the Triple-A Syracuse Chiefs. Jeff has batted .378 over the last ten games to boost his season average to .213 for the Washington Nationals minor league team. I will admit to being fascinated at times by tattoos and not because I like or even understand them because I don’t. What fascinates me are two things. One, what is that person going to look like when they are much older because I think in many cases it won’t be pretty. Two, can’t it hurt someone in terms of their career because I would imagine quite a few employers don’t want their people all “tatted up.” Of course at the rate we are going maybe in 20 years or so everyone will have these so-called works of art adorned on their bodies so it won’t make a difference. On a somewhat related note I stumbled across something in the recent edition of Men’s Health. The magazine asked hiring managers and experts in nine different career fields if certain facial-hair choices would play a role in the applicant’s chances of getting a job. The nine categories were food service, teacher, office worker, retail, creative media, white collar, construction, barber and IT. In all nine a clean-shaven applicant was a plus and it was the same for someone with a short beard. Eight of the nine job categories were okay with someone who has a full goatee or full mustache with only white collar managers against that facial hair. Only 5 gave the thumbs-up to a job seeker with long sideburns and less than half…4 said it was acceptable for a man to have a pencil mustache, full beard or soul patch which is a small patch of hair just above the chin and below the lower lip. While women may find the “5 o’clock shadow” very appealing it probably won’t help you chances of landing a job as the only fields that found it okay were construction, barber and creative media. Chin scruff was even worse, unless you are in creative media or construction and unless you are looking to bang nails forget about a fu Manchu or ZZ top. Of course if you work for yourself none of this really matters but in today’s very competitive job market clean-shaven and smooth just might be the way to go. By the way, according to the magazine women prefer guys with a day’s scruff when it comes to flirting but would rather kiss a guy who just shaved. and this was the 8th year they have organized the event which benefits the American Cancer Society and other organizations like Community Medical Center’s Brest Cancer Program. Yesterday’s walk was expected to bring in at least $25,000 which makes the total over $175,000 since the first event. It’s just a nice local effort which brought together so many residents and summer visitors, many of whom are survivors like my wife or have lost loved ones to this dreaded disease. The people at The Music Man did a tremendous job and even gave walkers a cup of ice cream afterwards. I passed…choosing to re-fuel after that 2-mile walk with breakfast on the patio at The Crabs Claw Inn. Todd Frazier’s biggest day as a major leaguer came at a perfect time for the Toms River resident and Cincinnati Reds rookie. Frazier’s batting average had dropped to .233 following an 0-3 performance on Saturday against the Cubs but things certainly turned around in a hurry yesterday at Wrigley Field. The 25-year old third baseman belted a two-run homer in the 4th inning, his third round tripper in 14 major league games. Then with the Reds trailing 7-6 in the 8th Frazier tied the game with a one-out RBI double and later in the inning scored what turned out to be the winning run. The former Toms River South & Rutgers standout is now batting .265 and I’m sure feeling a lot better this morning. Ocean County beat their rivals from Monmouth 5-3 Sunday night in the 14th Annual Shore High School All Star Hockey game at the Red Bank Armory. It was just the second time in the last ten years that Ocean came out on top in the game which is presented by Jim Dowd’s Shoot For the Stars Foundation and was a fundraiser for the FoodBank of Monmouth & Ocean Counties. Goalie Eddie Rafferty of Brick and forward Jay Malone of Toms River South were the co-MVP’s for the winning team. It is really hard to believe that this is the first weekend of August, which in some ways marks the home stretch for summer. Signs that summer may be winding down are evident as back-to-school shopping is well underway and just two weeks from today we’ll be taking our daughter back to Penn State to begin her sophomore year. However it’s not time to moan and groan yet about the end of the best time of year but rather take advantage of what’s left and squeeze every drop of summer while we can. My wife and I are planning to take part Sunday in the 8th Annual Lavallette Breast Cancer Walk which we first discovered last year while having breakfast at The Crabs Claw Inn. We watched hundreds of people walk by us and late learned it’s an annual two-mile walk held the first Sunday in August to benefit the American Cancer Society’s Making Strikes Against Breast Cancer and local cancer organizations. Registration takes place at The Music Man Singing Ice Cream Shoppe on Route 35 North which is also the starting point for the walk at 8:30am. The cost to walk is $25 and you get a free tee shirt, water bottle and scoop of ice cream when you cross the finish line which is perfect when you consider the theme of the event is “Together, We Can Lick This.” You can register before Sunday at The Music Man between 7am and midnight or on walk day from 8-8:20am and for information you can call (732) 854-2779. Jim Dowd’s hockey-playing days are over, at least professionally but the former NHL player continues to host a summer game to benefit local organizations and individuals. Dowd’s “Shoot for the Stars Foundation” will hold its 14th Annual Shore High School All Star game Sunday night at the Red Bank Armory starting at 5:30. The game features many of the shore’s top players, including recent graduates Patrick Kearns of Brick and Jay Malone of Toms River South. They will lace up the skates for the Ocean County squad that has lost 8 of the last 9 meetings against Monmouth County’s best. Regardless of who prevails Sunday the big winner will be the FoodBank of Monmouth and Ocean Counties as all proceeds will go to that organization. Dowd is a former Brick High School star who played for 10 NHL teams during a 17-year career which was highlighted by his game-winning goal during the 1995 Stanley Cup finals which helped the Devils win their first-ever cup. He now lives in Point Pleasant with his wife and children and has been very active on behalf of charitable causes. Following an incredible athletic career at Southern Regional High School Glenn Carson has had his share of ups and downs at Penn State but it looks like things are certainly heading in the right direction for the former Ram All-State linebacker and state wrestling champ. Carson got into the doghouse of legendary football coach Joe Paterno during the summer before his freshman year and returned to his home in Manahawkin before enrolling in January of 2010. As a freshman last season he played in every game, mostly on special teams but he also saw action at linebacker. and by all accounts has continued those positives through the summer. The Nittany Lions begin practice today with Carson listed as the #2 inside linebacker right behind Michael Mauti and the 6’3, 240 pounder is expected to be a major contributor to the defense. Majoring in advertising and public relations, Carson has done very well in the classroom and is a potential Academic All-Big Ten candidate. Penn State opens its season at home on September 3rd against Indiana State. If the polls are correct it could be tough seasons for the football teams at Rutgers and Monmouth University. The Scarlet Knights, who begin practice tomorrow, have been picked to finish last in the Big East according to a media poll released this week. Rutgers was 4-8 last season and finished in the conference basement and most don’t expect much better this fall. Monmouth is coming off a disappointing 3-8 season and when the Northeast Conference released its preseason coaches’ poll Wednesday the Hawks were ranked 6th among the nine teams. Monmouth opens practice Sunday in preparation for their season opener on September 3rd at home against Lehigh. All Hawks games can be heard on WOBM AM again this season. Toms River’s Todd Frazier hit his second major league home run in four days last night but it was not enough as the Cincinnati Reds lost in Houston 5-4. Frazier started at third base and was 1-2 with the solo blast before being replaced by a pinch-hitter in the 9th. The former Toms River South standout is batting .280 and figures to stick with the Reds for a while now that Scott Rolen will be sidelined for 4-6 weeks following shoulder surgery. As a follow up to a story I did last week, 20 students, five teachers and an assistant principal from Toms River High School East have arrived in California for tomorrow’s Hurley Walk the Walk National Championship. The world’s largest high school fashion competition is run in conjunction with the U.S. Open of Surfing in Huntington Beach and High School East will battle four other schools for the $25,000 first prize. The high-energy fashion show can be viewed tomorrow beginning at 7pm on TV21 for those of you who get the Toms River TV Channel on Comcast or you can watch on line at www.hurley.com/wtw. Online voting takes place immediately following the last school’s performance and it would be great to see many support the efforts of Toms River East. Good luck to the Raiders! The Toms River-Ocean County Chamber of Commerce is holding their 18th Annual Golf Outing & Networking Dinner on Monday, August 15th at Pine Barrens in Jackson. Always a great outing, you can call (732) 349-0220 for more information and to register to play. Also, the Brick chapter of UNICO National will hold their 3rd Annual Golf Outing at Woodlake County Club on Monday, August 22nd to raise money for their scholarship program and other charities. For information on that event you can call Anthony at (732) 779-1567. So I mentioned in my opening that I’m just back from a little junket to New York. It was part of an annual “Bucket List” adventure that started four years ago with a group of longtime friends who attended Ocean County College together in the mid-70’s. After baseball trips to Chicago, Boston and spring training in Florida we did a 40-hour adventure by bus that included quick stops in Saratoga, Cooperstown and a Mets game at Citifield. Not nearly enough time but the company was great with friends coming from Kansas City and Mississippi to join in. The Saratoga part of the itinerary was a tribute to Joe “The Horse” Perrone, one of the original “bucket listers” who passed away unexpectedly this spring. There was a toast or two to Joe who may be gone but will never be forgotten.